Congratulations, you’ve won a Nexus S! As you know, last night Lucas and Buzz stayed up, with caffeinated beverages at hand, going through the 160-odd entries we had for our Nexus S competition run with Vodafone and Samsung. 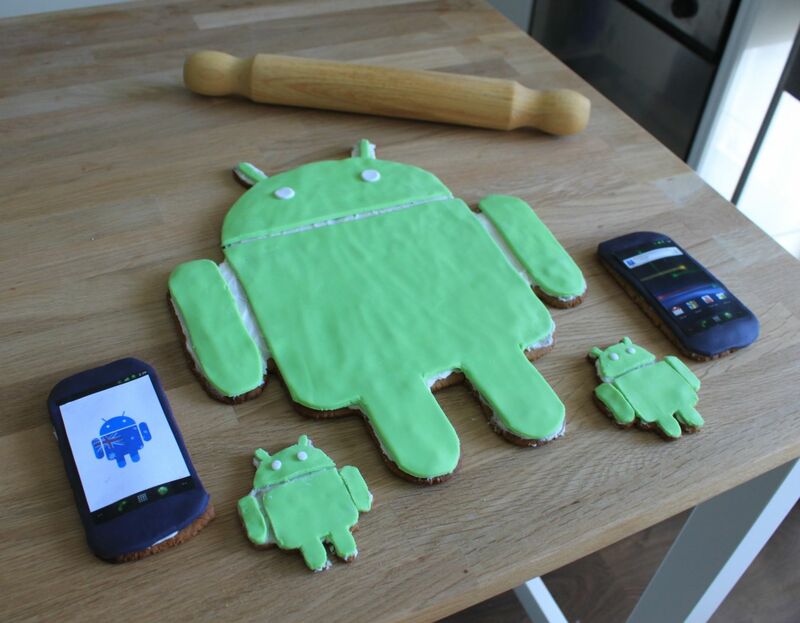 We selected our favourite entries which demonstrated creativity and best captured the essence of Android’s newest platform, Android 2.3 aka Gingerbread. We stuffed those entries in an envelope, and ran it over to Vodafone in North Sydney for them to select a final winner. Vodafone have just run back to us (it’s a long run from North Sydney to the Ausdroid office) and dropped off the winning envelope. So, without further delay, lets get down to business. Amanda, the team at Ausdroid will soon be in touch to arrange delivery of your prize. To all of you who entered, thanks for your readership, and your creativity. We look forward to running more competitions this year, so keep an ear out for our next announcement which probably won’t be too far away. Previous Telstra launches a $99 Android phone that you won’t buy. Wow that icing looks amazing! Thanks everyone, it was a lot of fun to make! Thanks to Ausdroid/Vodafone/Samsung! This was an amazing effort. Heaps of cool stuff came in, was quite hard to choose just 10.
congrats, if i had to choose it would have been the bread roll, with julia gillards hair! Deserving winner, congratulations, they looks fantastic! I hope she baked enough to share with the whole class! A worthy winner. Well done Amanda!